In response to the need to expand access to high-quality professional development for Arizona’s science teachers, Arizona Science Center launched the Science Teacher Residency (STaR) program. This new STEM (science, technology, engineering, and math) teacher training program, generously supported by Helios Education Foundation, provides instruction and mentoring to third through eighth grade teachers at no cost to them. The first cohort of teachers began the program last week. At Helios Education Foundation, we believe that the early grades are critical to a child’s future academic success. We believe that strengthening early childhood systems to promote language acquisition and emergent literacy will enable more children to read at grade level by the end of third grade. This accomplishment in turn will improve success in both middle school and high school, ultimately better preparing each student for college and career. …In an effort to understand more about the impact of Move On When Reading (MOWR), Helios commissioned a study to learn how Arizona’s MOWR legislation is being implemented in local education agencies. This brief, authored by several WestEd evaluators focuses on the first year of the implementation study. According to a report released by the U.S. Department of Education, National Center for Education Statistics, the national high school graduation rate reached a record high of 83 percent in the 2014-2015 school year. At the same time, a look at Arizona’s high school graduation rate reveals a state average six points lower at 77 percent—ranking 44th in the nation. The long-term prosperity of Arizona and its residents depends on a quality education system that effectively prepares its students for success in college, career and life. Arizona has one of the largest and fastest growing Latino student populations in the nation, yet our Latino students trail their state and national peers in academic performance and degree completion. Through our Arizona Latino Student Success Initiative, Helios is committed to improving quality, access and achievement across the birth-postsecondary education continuum, ultimately leading to more Arizona students, and specifically more Latino students, completing two- and four-year degrees. Only 37 percent of Arizona’s adult population has an associate degree or higher, with that number dropping in half for the Latino population. Recognizing the need to close this gap, Helios Education Foundation today announced a $5.1 million investment in its new College Knowing & Going initiative, a college and career readiness program supporting 18 school districts throughout Arizona (including three FUSD schools), many of which represent low-income, Latino student populations. 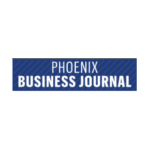 The initiative was unveiled (April 13) during the Foundation’s ACT Summit at the Hyatt in downtown Phoenix to more than 160 attendees. Her parents grew up in Mexico and never had the opportunity to finish high school. Her older brother never felt comfortable in American schools. He dropped out to go to work. It might have been easy for Flores to fall into the same pattern as her older brother and other Arizona Latino teens, who leave high school either before graduating — or without taking the difficult classes they need for postsecondary success.